Flooding has been a constant climatic conundrum in Sri Lanka and has affected lives of many civilians throughout the past years. This year floods caused serious issues, displacing thousands of people and destroying their homes. 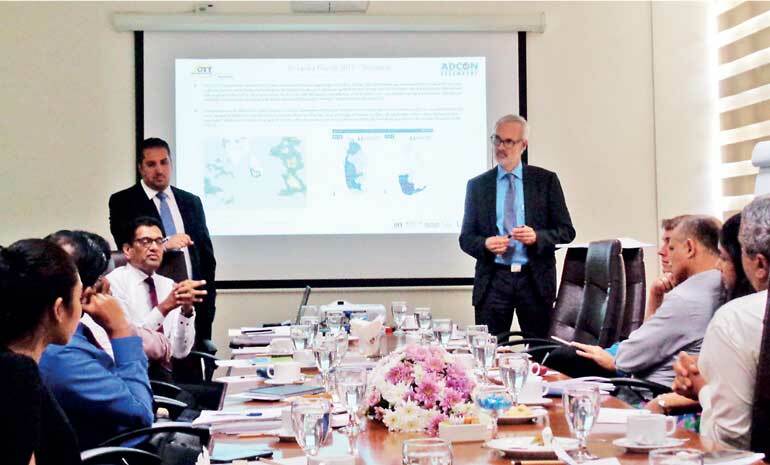 Hayleys Agriculture Holdings together with Adcon Telemetry Austria is working towards the establishment of a countrywide Real-time Meteorological Information and Early Warning System in Sri Lanka under the theme ‘Remote Monitoring – for many purposes: Flood warning, Meteorology, Irrigation’. This year’s heavy floods affected 15 districts, claiming 208 lives, while a total of 698,289 people were affected, 11,056 houses were partially damaged and 2,093 were completely destroyed. In 2016 340,000 people were displaced but numbers rose to a total of 630,000 this year, showing a hike in the rate of destruction caused by floods. A recent workshop conducted by several stakeholders discussed the main issues revolving around climatic mishaps, looking at long-term solutions. The event highlighted that climate is a universal problem that is here to stay and focused on the importance of working on long-term solutions. It was shown that the local data available is either insufficient or of no value, available data is inaccurate, data processing is insufficient or too late, and the number of monitoring points are also insufficient. These being the key problems, ADCON provides a monitoring system for the entire country that is fast and easy to install, extremely robust, easy to operate, fully-automated, easy to service and maintain, extremely versatile, very affordable and of course proven under the most adverse conditions. The Disaster Management Centre of Sri Lanka stated that there are 400 daily basis rain gauges with over 150 manual and automated gauges. It is by the measurement of rainfall that early detection of landslides are detected, the centre added. There are three threshold levels: 75, 100 and 150 which if exceeded go on to carry out the first, second and third warnings of a flood. However, due to heavy rainfall, it is often hard to measure water levels as they exceed the manageable level, the Disaster Management Centre noted. It is then that they fail to carry out the precautions or warnings necessary. Towards this end, Hayleys Agriculture Holdings in partnership with ADOCN aims to give its fullest support towards the management of climatic situations and early detection by formulating the right data transmission. The workshop was conducted by ADCON Telemetry Business Unit Manager Ruwin Pandithage and Hayleys Agriculture Holdings Head and Director Rizvi Zaheed. Disaster Management Centre Director General Senadeera, Additional Director General Samarakkody, Disaster Management Centre Assistant Director Samansiri, Disaster Management Centre Assistant Director (preparedness) Nuwan, Department of Meteorology Director (forecast) Athula, Climate Change Secretariat Assistant Director Dakshini Perera, Mahaweli Authority of Sri Lanka Director General Jayarathne, National Building Research Organisation – Landslide Research Division Director Wasantha Senadheera, Department of Irrigation Director General Thuraisingham, Department of Irrigation Chief Engineer Sugeeshvara, Department of Irrigation Acting Additional Director General of Irrigation (System Management) Alwis, Geological Survey and Mines Bureau Senior Scientist Nilmini, World Bank Group Disaster and Risk Management Specialist Priyanka Dissanayake, International Water Management Institute Head Sri Lanka Development Initiative Herath and International Water Management Institute David Wilberg were among participants at the workshop.